“For the rest of your life, Paris stays with you” noted the great Ernest Hemingway. Let this holiday always stay with you! Paris! 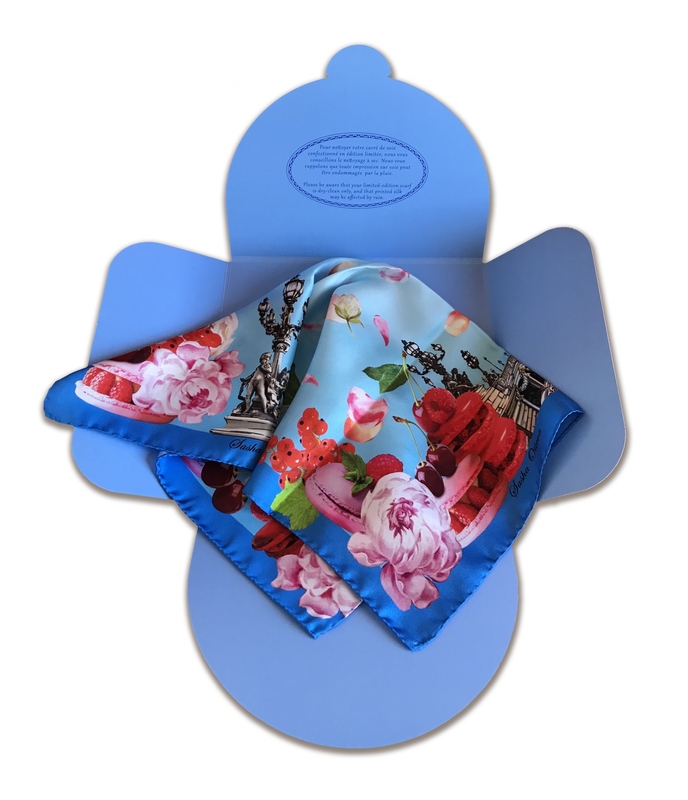 City of love, romance and joie de vivre! Reflections of Paris......carefree walks around the city...Alexandre III bridge across the Seine...Le Tour Eiffel... Sacre Coeur a Montmartre...The Louvre...Cozy coffee shops...The city's splendor brought to life in Alexandra's painting “Peonies in Blossom'... Everyone has their own association with Paris! Those associations became the source of inspiration for the design. 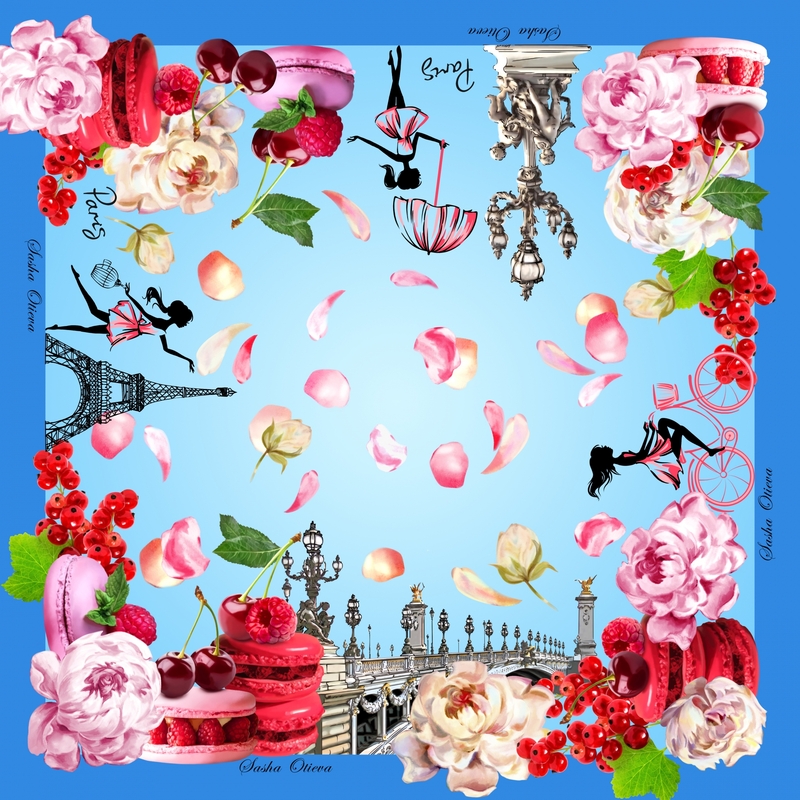 This scarf is perfect for stylish young girls and lighthearted women exploring the romantic boulevards of Paris. 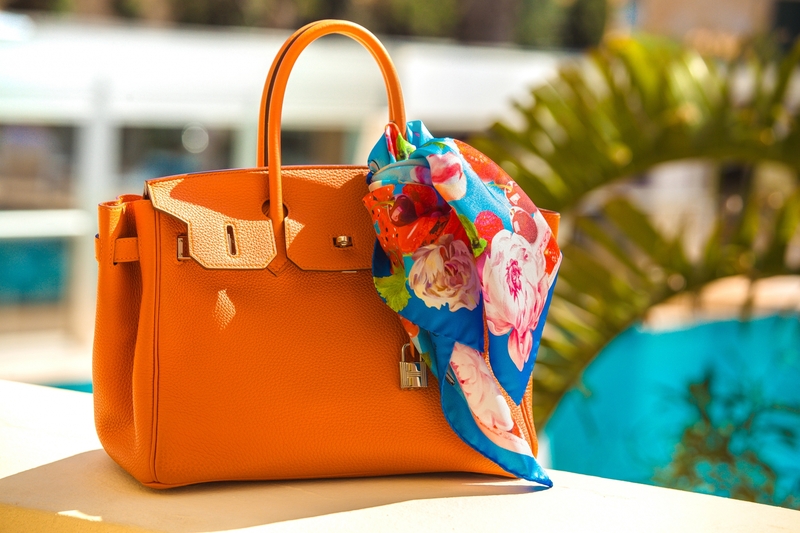 The size of the scarf is 53x53cm, which allows it not only to be worn around the neck, but also as decoration for a handbag.